Movies like Roja and Yahaan mean nothing to Kashmiris. One can say that the target audience of these movies is different. Roja must have made sense to this targeted audience and Yahaan (shot beautifully!) must have made a bit more sense. But, to me they don’t make sense. Let us look at some selected usual suspects. 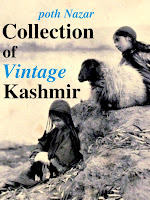 Vidhu Vinod Chopra, for all his love of Kashmir and for all his childhood spent in Kashmir (he was born in Kashmir) and as a step towards the ‘right’ direction (remember it was released in the year 2000), made MISSION KASHMIR. One fails to understand how could he make a movie like that and still feel good about himself. He could feel good because that is how the things work in India; we only make filmy blinded righteous Nationalist movies. Our movies just like our mythologies are supposed to have a moral. A conflict has to become a myth. The Hero has to save the nation. Heroine has to sing and dance deep in side dingy caves in front of hundred bearded ‘extra’ men who carry plastic guns in hand and sticky grins on their faces, all this while the heroine tries to seduce Osama and make him forget about Nuking India. On this relative scale, Vidhu Vinod Chopra must certainly be rating himself highly. But, didn’t his movie have the same elements. A Super Villain (Jackie Shroff playing Hilal Kohistani) who whispers evil words into the innocent ears of an angry and confused young boy, while the boy is carrying the injured Villain on his shoulders, asking him to wage Jihad. While the scene is very symbolic, it again presents a belief that is very common —The Pakistani Islamic Warmonger befooling the ‘innocent but angry’ Kashmiri in the name of religion and making him carryout their dirty tasks. Only this time the idea presented is in symbols in a scene that reminds one of Vikram Vetal (a radio show that at one time was very popular in Kashmir). The idea itself is not new. This idea is the accepted average limit to which a common Indian is willing to naturalize the Kashmir conflict. Besides this, the movie has The Super Army man, the Super Mother, the Super villainous plot (I must say that Kargil conflict was also a super villainous plot. At times Kahsmir does go into Super mode) and everything else that could be Super. But, then things do improve with time or rather the scene does evolves. Remember the religion less movie Jab Jab Phool Khile. How can anyone make a movie like that? Shashi Kapoor is a Boatsman who loves Nanda, a women from mainland India. 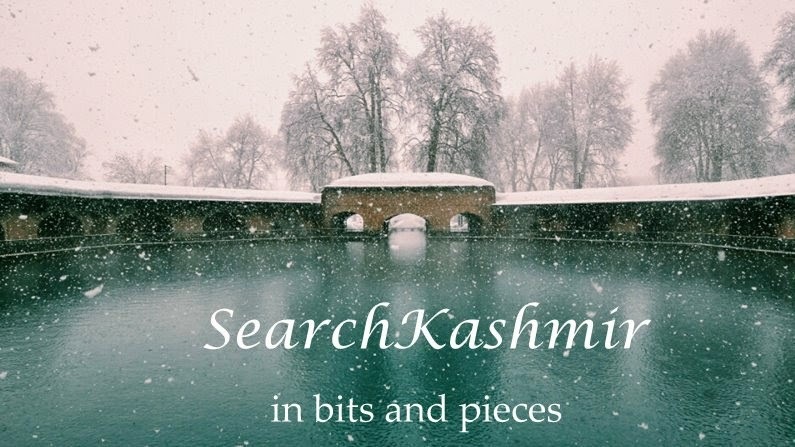 Anybody making a movie about Kashmir should have known that the Boatsmen in Kashmir are Muslims of a separate tribe who claim ascendance right to the Prophet Noah, the supposed builder of the greatest boat ever built. Is religion a problem in the movie? No, religion is one big yarn and India is a one big happy family. Yahaan(2005) at least gave religion to its main characters. Although I must say that the character of Adaa (played by Minissha Lamba) must have grown up living in a Nutshell just like Thumbelina to have fallen in love with a Hindu Army Man. She must have walked out of her Nutshell one day and stepped straight into the movie. And just like Shakespeare’s Miranda, fallen for the first man that her eyes ever fell upon. One big yarn…the height of things…a tall tale. In Kashmir, a true film buff would call it “Afarwat kiss'hi !” (Possible origin of word: Afarwat mountain in Kashmir), a term used for tall tales that people tell once in a while. Mani Ratnam’s Roja at least had a screaming wife who cries that she doesn’t care about the Nation, just give her the missing husband. Of course, then the preaching starts and the happy end. Roja was made in 1992, just years after the trouble in Kashmir started (1989). Maybe, it was too much to ask from the director. One would have had to be foolishly brave to have said something substantial at that time. Try to say something meaningful and then let it be used as propaganda by the other side. Only movies made during the conflict/war are propaganda movies, Nationalistic movies, and patriotic movies. The conflict has to end so that people can make something out of it…begin to analyze what happened… what passed. We need Distance in time and space. However, one can always cash in on the conflict and make a filmy movie about the conflict giving no thought to the actual subjects. Make it entertaining, appealing, alluring, sleek, demonizing, anglicizing, Nationalizing or downright vulgarizing the life of people caught in the conflict. We are poor people; we do not have enough silver space for all the conflicts to compete for the screen time. While Kashmir suffers from wrongful depiction on the Screen, I guess other places like North Easter India (with its own set of problems) suffers from almost no depiction in the mainstream Bollywood Cinema. Again, the usual suspect Mani Ratnam tried his hand at it with Dilse (1998), managing to create just a great song n dance sequence atop a slow moving train and some memorable music thanks to A. R Rahman ( Bulleh Shah went pop that year and a whole new breed of people can to know of him). Maybe, it’s too much to ask of main steam movies and their makers. However, even these movies mean something… must mean something. Someone from North East has fewer or maybe no Jab Jab Phool Khile to trash. Don’t know if that’s a good thing or a bad. Poster of a Malayalam film in Kochi, Kerala. I watched Yahaan and Mission Kashmir for exactly the same reason but I would have preferred a better treatment of the subject. What about a film like "Tahaan"? Would love to hear your comment about the movie. I have a post about Tahaan here. In parts I found it too melodramatic for a childrens film. But yes the locale and the (folk) music is too good.